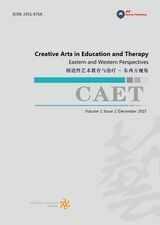 Creative Arts in Education and Therapy is published jointly by Inspirees International and Quotus publishing o. The following instructions apply to all publications on our platform. For al full list of our titles visit the Quotus homepage. If you have already registered for an account for any one of Quotus’ journals, you can use that to administer also Creative Arts in Education and Therapy. If you do not yet have an account for Quotus Publishing, you can set one up here – it is free, of course. Once you have registered, inform us at support@quotus.org about the institution you request administration rights for. We will then set up your administration rights. Username/password – an alternative e.g. for membership organizations or for staff working outside their institution’s IP range. We are working to implement Shibboleth authentication in the course of 2015. In order to check your institution’s IP range, sign in with your username and password, go to “Admin” and select your institution. If you feel you should have access to content on Quotus Publishing, but you have not, Please contact support@quotus.org. Quotus Publishing supports OpenURL Linking, allowing you to facilitate seamless linking to our content. The following table provides query parameters supported by Quotus Publishing. You can provide eISSNs and ISSNs with our without hyphen: “2056-4074” works just like “20564074”. An “X”in ISSNs may be in upper case or in lower case. “2451-876X” works just like “2451-876x”. Quotus Publishing works with link resolver vendors to ensure their knowledge bases are updated. Our data files follow the recommendations issued by KBART. If you like to make sure your link resolver has the relevant information, email the name of the link resolver to support@quotus.org. And we will ensure they have the required information.